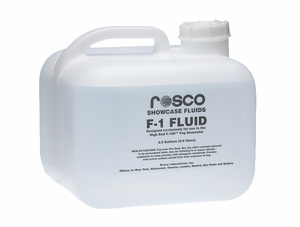 Rosco F-1 Fog Fluid is a new addition to the high quality fluids that Rosco has offered for decades. The F-1 Fluid is designed exclusively to be compatible with the popular High End F-100™ Fog Generator. Available in a 2.5 gallon bottle, this formulation is composed of the highest grade components available. In addition, like all Rosco fluids, we use double de-ionized water for the purest fluid available. 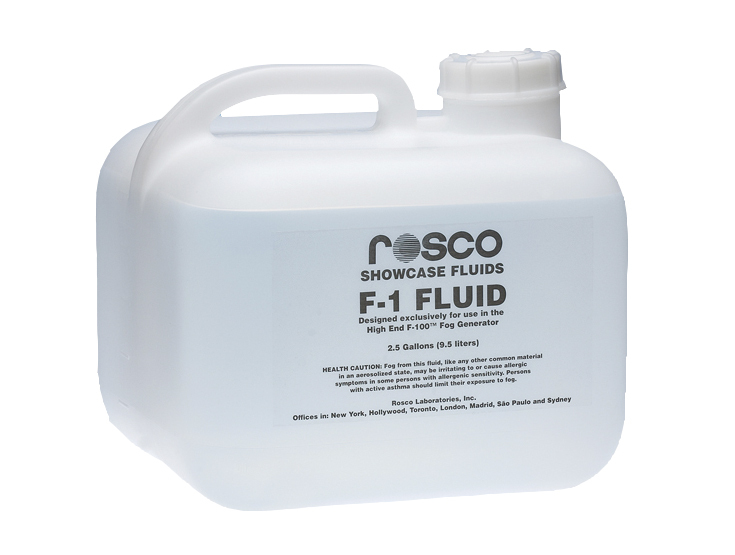 Rosco F-1 Fluid is the first in a new line of Showcase Fluids which are designed to be compatible with other fog machines. Over the years, Rosco has maintained that the user should only use fog fluids designed to be compatible with specific equipment. The Showcase Fluids are the result of careful research and are guaranteed to offer the best results in the designated equipment.